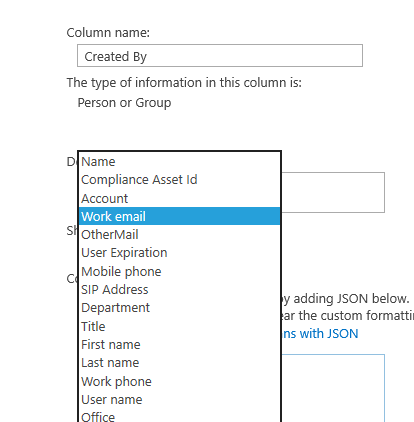 Is there a way to filter SharePoint user column by using user name, in default SharePoint list views? Can we have Created by is equal to vignesh.subramanian@ss.com ? Yes, you can. The filter based on how you show the Create by filed. So you need to make the "Created by" column show field: work email to achieve this. How to get people picker column user login name using CSOM in Powershell?